Every May I look forward to seeing snapping turtles laying their eggs on the edge of the Mount Vernon Trail. Snappers are big. Their shells are about the size of a dinner plate. If you get you fingers near their mouths, you won’t have them for long. Last week I saw a baby snapping turtle. It looked just like an adult but its shell was only about as big as a 50 cent piece. 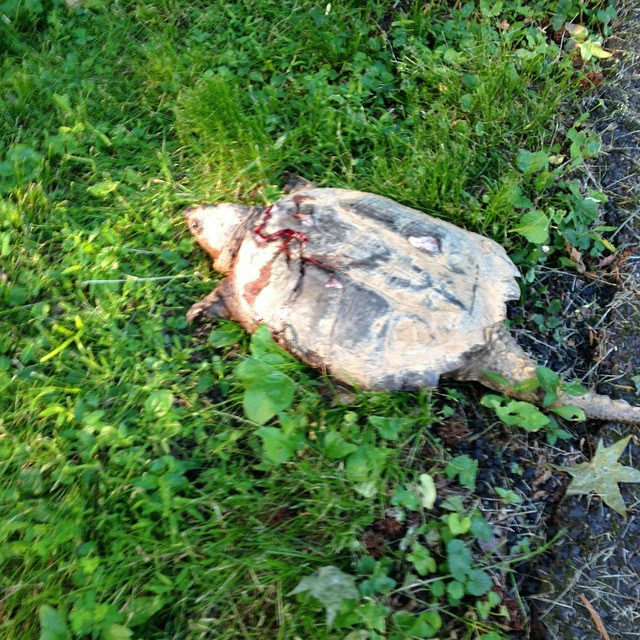 Today, I saw an adult snapper next to the trail. It didn’t register in my mind until I had ridden past it. I stopped and walked back only to see something horrible. The turtle was alive but in obvious distress, it’s shell cracked just behind its head. I have no idea how this happened but my guess is that it was run over by a car. I was relieved to see that it was gone when I rode past this evening. About an hour later, my daughter and I were driving to dinner in Old Town. About a half mile from where I saw this turtle, I saw another one at the edge of the George Washington Memorial Parkway. It had been run over and looked like it was dead. I really wanted to see some snapper turtles this spring. Now I am not so sure. 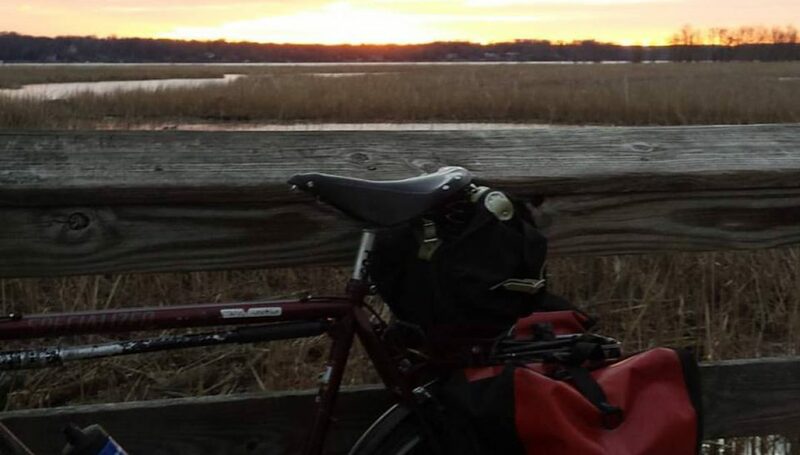 Posted on May 27, 2015 by rootchopperPosted in "Mount Vernon Trail", bike commute, snapping turtleTagged "Mount Vernon Trail", bike commute, snapping turtle. What makes this harder is that this is egg laying season. In this “rush, rush” world, taking your time can actually maim or kill you. You’ve got proof. LIfe and death can be cruel, and very difficult to watch. While I think automobile is by far the most likely, I wouldn’t rule out of some of your raptor friends. I’ve seen eagles and hawks pick up all sort of animals along the trail and then seemingly drop them. I grew up on a lake in MI–I love snappers. When our neighbor would fish on his dock, a HUGE snapper would come up and hang out under the water. It patiently waited until my neighbor caught a fish. They he’d pop his head out of the water, and wait for my neighbor to drop the fish into his open mouth. Smart turtle.